Summit Racing Equipment Internationals 2018 – big event, big fun! Time for the biggest event this season, Summit Racing Equipment Internationals 2018. 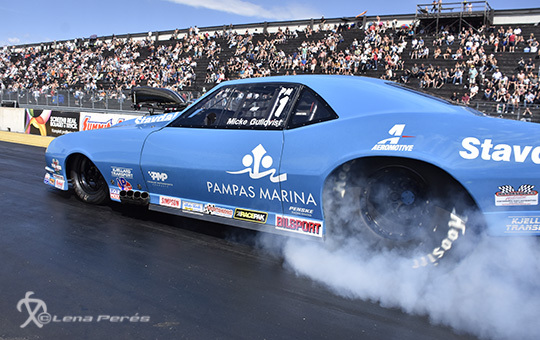 It is the finals for the Pro Modified, Stock/Super Stock and Pro Street in the EDRS Pro series, in addition to that it´s time for the big finals for Super Pro ET and Pro ET Super Series. It’s a big event coming up this weeken. There are almost 330 teams in 21 classes register to attend the Summit Racing Equipment Internationals at Tierp Arena Sweden. The biggest class at the event is Stock/Super Stock, with 42 teams, who are fighting over the last points in this final race of EDRS Pro Series, as well as Pro Modified and Pro Street. In Pro Modified Micke Gullqvist is at the top at 391 points, Andreas Arthursson is close behind at 270 points and on spot number three we find Janne Ericsson at 302 points. In addition to the Summit EDRS Pro class, Pro Modified, this weekend there’s also the Swedish championship being decided. But who´s going to win and what? In the Stock Super Stock class, we have a clear leader Rick McCann at 416 points, then Kai Suilo at 315 and on third Lars Bodén at 299 points. But it ain’t over until till the fat lady sings, as one of the speakers use to say. In the Pro Street class, Lars Berglund is at the top at 584 points, Daniel Hållestam is at 537 points which makes him a serious competitor to Lars. On the third spot sits Michael Maderer at 470 points. Else, we notis that everyone who is in the lead of the Summit Racing EDRS Series classes is on site this weekend, fighting for the points. 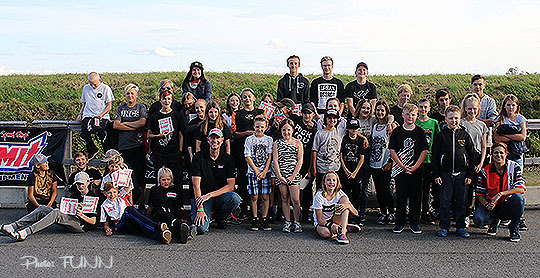 Jr Dragster is as usual one of the biggest classes at the event with 39 registered teams. 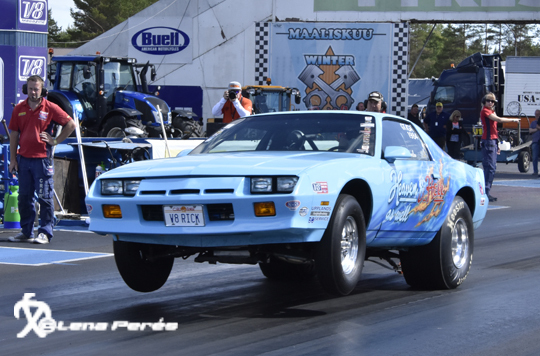 The leader in the Summit Racing EDRS Series North Division and 2018 Swedish Champion, Wilma Andersson from SHRA Sundsvall, is of course one of the registered teams. In the Central Division we, so far, don’t see the leader in the table Kerttu Lehtonen Finland. But number two Tomas Nurminen is going to be on site to defend his points and hopefully take some more. Tinda Christensen is close behind him, so it’s going to be a hard battle in one of the already toughest classes of all. 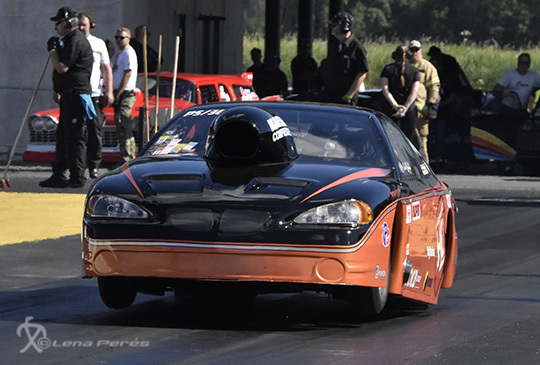 There are alsogoing to be two champions in Summit Racing Super Series crowned. 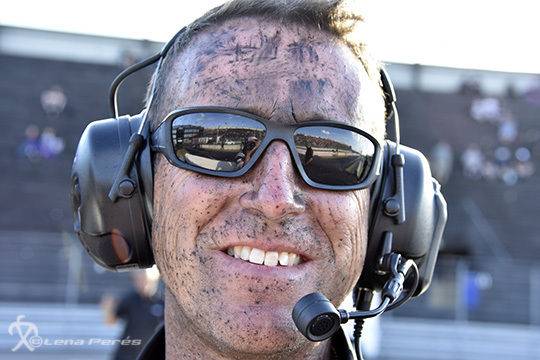 In the classes Super Pro ET and Pro ET, all the finalists are also going to meet Jim Greenleaf from Summit Racing Equipment during the weekend and get some nice treatments. 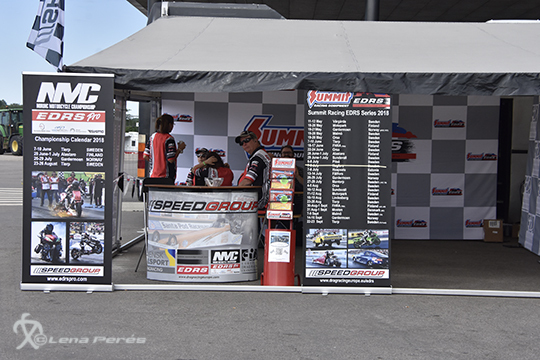 If you have any question or just want a chat, come and see Speedgroup crew in the the Speedgroup Center just by the line-up area. 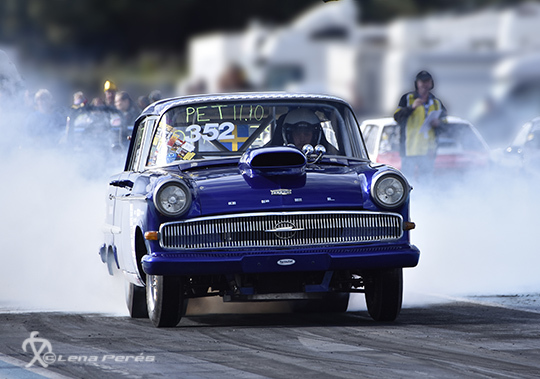 Now we´r going to have a great and fun racing weekend at Tierp Arena! Welcome all and everyone!